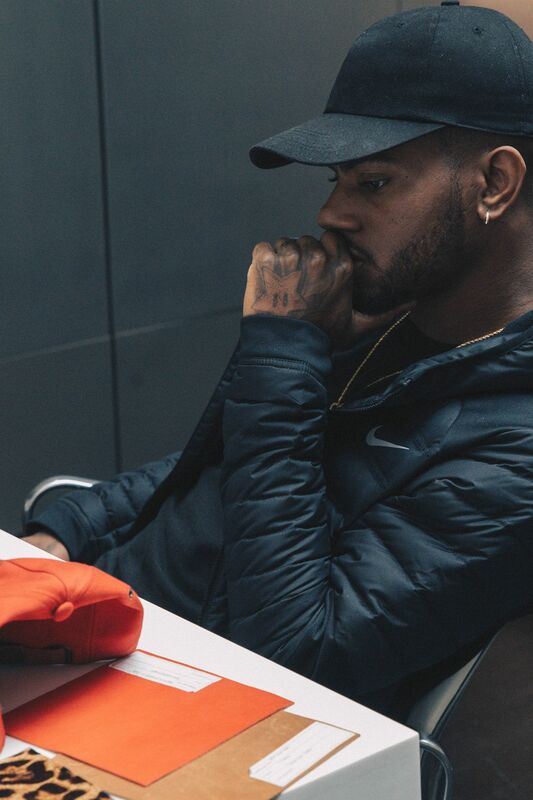 Bryson Tiller’s lyrics often speak louder than his words, but his footsteps resound in equal measure. 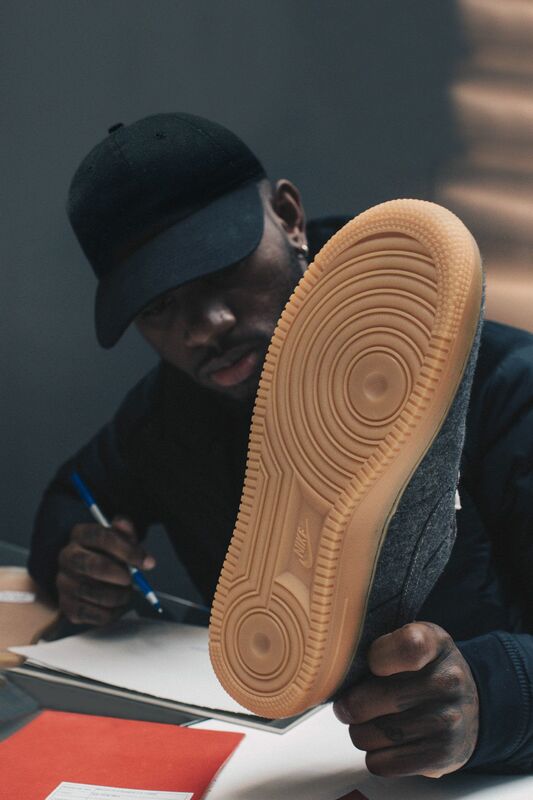 Whether performing before a sold out crowd or designing his own pair of Air Force 1 Bespoke iDs in an intimate studio session, Tiller’s attention to detail and focus on relating his journey repeatedly rings true. 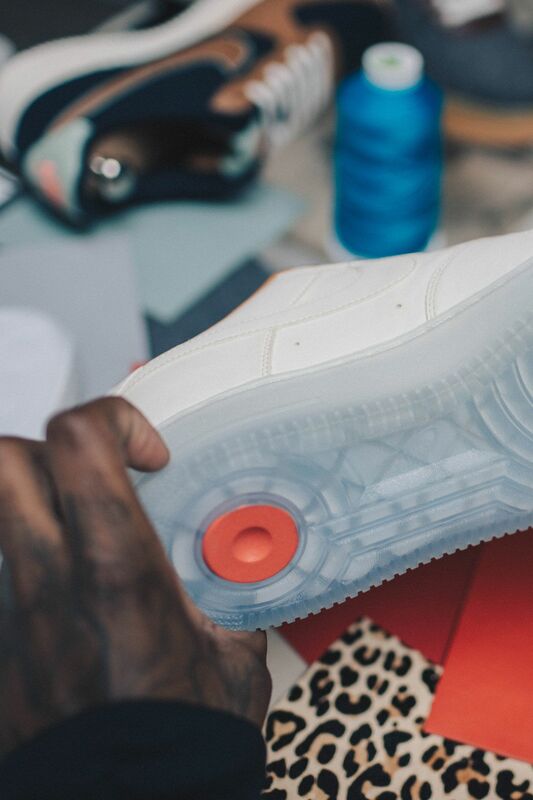 Teaming up with Nike Sportswear, Tiller takes us behind the design of his hometown-inspired AF1. 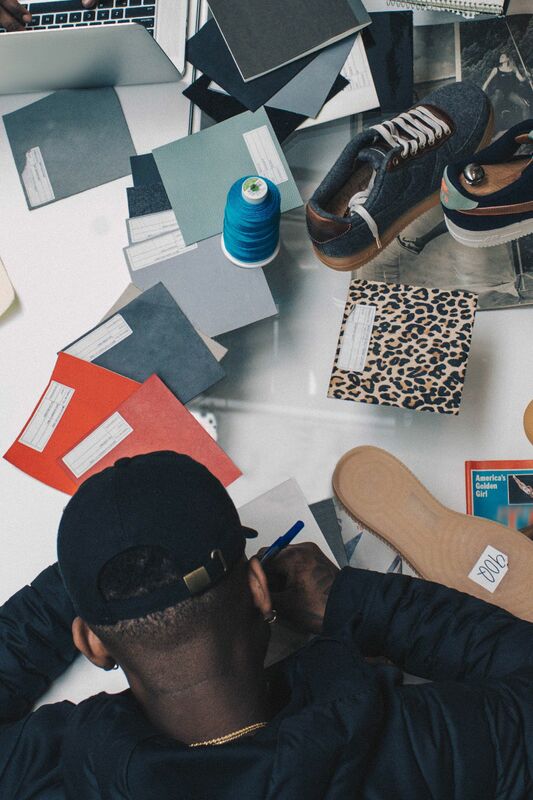 Tiller’s inspiration remains grounded in his roots, and the shoe that once allowed him to state his style now also serves as a canvas to celebrate his city. 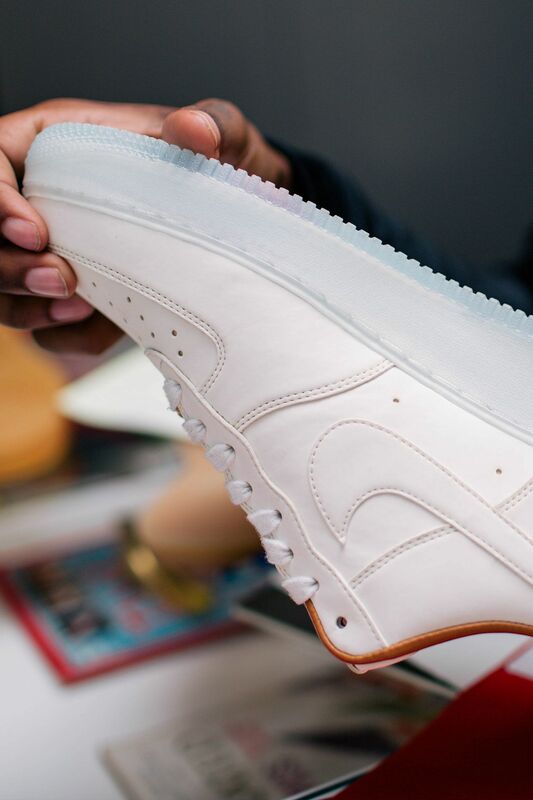 A recent stop at the Bespoke iD Studio at NikeLab 21 Mercer gave him the full design language necessary to further elaborate on his passions. 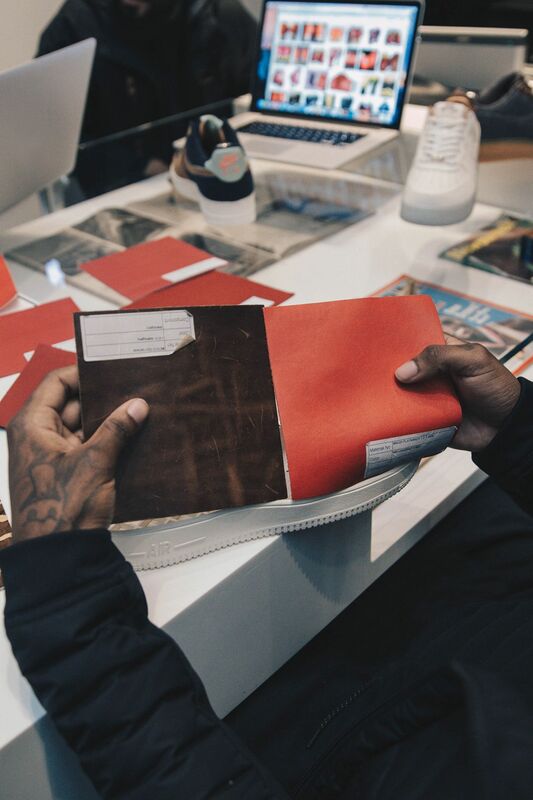 While in NYC, Tiller crafted a Louisville-inspired Air Force 1 Bespoke iD that includes an upper flooded in university red full-grain leather, which is intended to recreate the look and feel of boxing gloves. A tour yellow eyestay and custom tongue tag continue that inspiration by honoring the branding found on a pair of the same gloves. 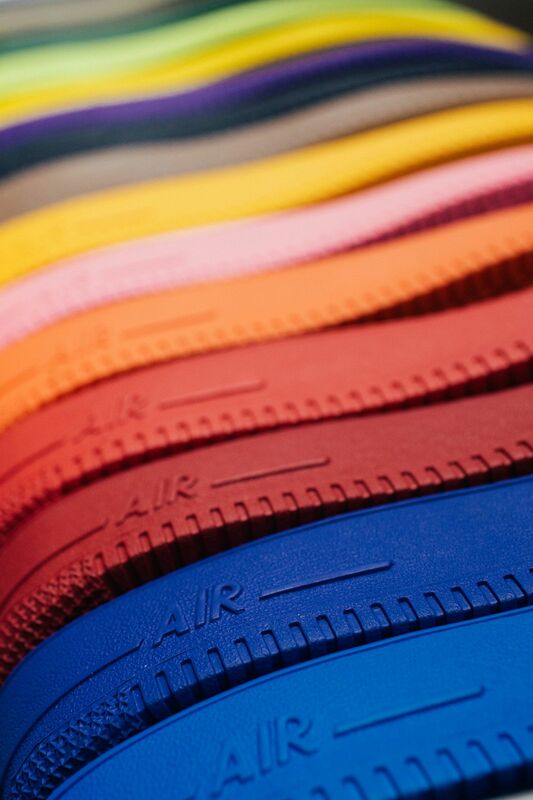 Metallic gold dubraes, an off-white midsole and a gum outsole help complete the premium, city-inspired design. 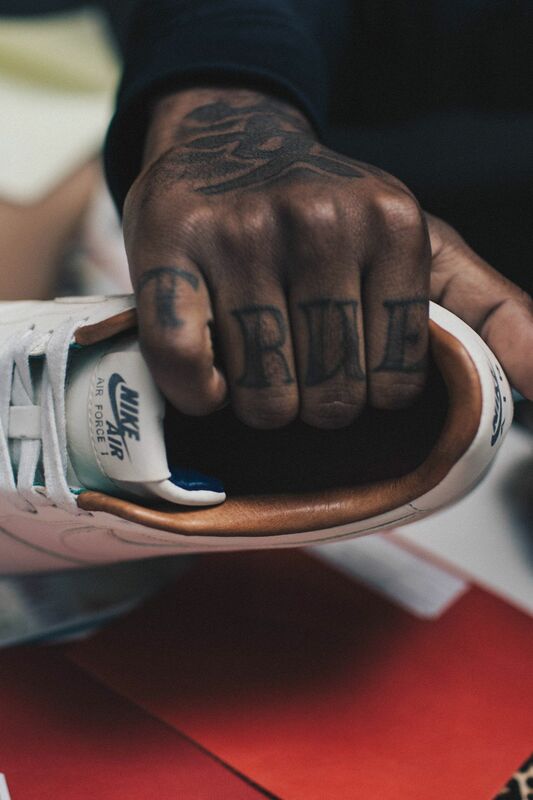 Ultimately, the Air Force 1 allows Tiller another avenue to voice his motivations, and the conversation between the artist and the icon is far from over. If you can’t hear the message, you’re simply not tuned in.